Difficulties have arisen for expats and local nationals living in Russia who wish to take out international mortgages on UK property. A statement from Offshoreonline.org has confirmed that one of Britain’s largest international mortgage lenders will no longer be accepting Russian based applications. This means that expats based in Russia, and Russian nationals, must look for alternative routes when buying UK property. 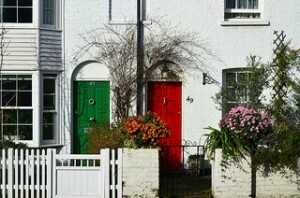 The new regulations apply for both buy-to-let deals and residential home purchases. Estate agent Knight Frank stated that between March 2012 and March 2013, Russians bought a total of 8.5 percent of all properties in London above £2 million. At that rate, Russian oligarchs would end up controlling a significant proportion of London’s property market. Although this trend has eased due to stamp duty and capital gains tax which until recently did not apply to corporate buyers. Consequently, these changes will affect the more vulnerable side of the spectrum. According to Tim Harvey, managing director of Offshoreonline.org, “Ordinary expats and Russians alike looking to make even modest property investments in the UK..will be caught by these new rules which are not particularly targeted”. There are over 6,000 British expats based in Russia that could potentially be hit hardest. For example, someone looking to make retirement plans by investing in a simple property back home is more likely to face rejection than in recent years. However, not all is lost. Expats can still find their way to purchasing UK property, but it will not be as easy as it once was. Mortgage brokers now have to do their business by assessing each case independently, which means the process has become more complex and time consuming for both parties. Expat buyers should expect to supply more detailed information about their personal finances, and to pay deposits of 20 percent for main house purchases and 25 percent for buy-to-let deals. Moreover, with interest rates predicted to reach the 5 percent mark, mortgage lending will be increasingly scarce potentially having a damaging effect on Britain’s housing market.